Neurons derived from the skin cells of people with and without autism spectrum disorder exhibit different patterns of growth and development, according to a study published this week (January 7) in Nature Neuroscience. 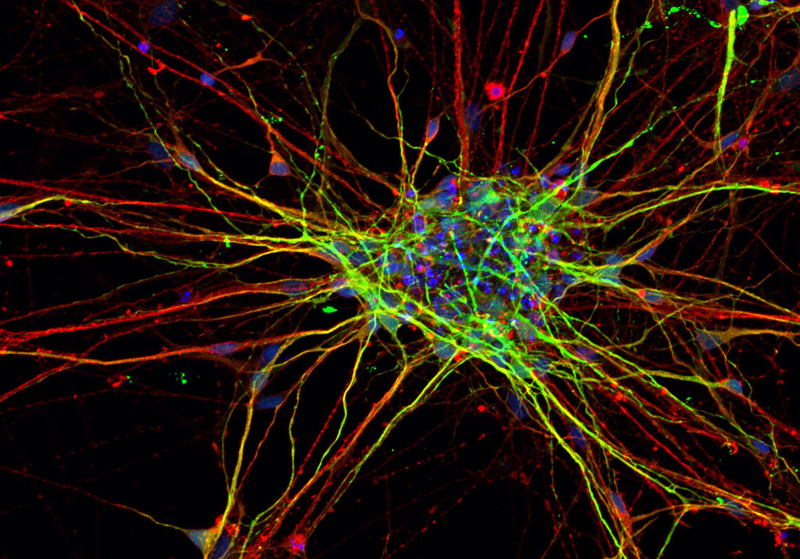 Gage and his colleagues converted skin cells from eight people with ASD and five developmentally typical controls into induced pluripotent stem cells, then re-differentiated those cells into neurons. During that re-differentiation process, the researchers noticed differences between the two groups. For example, neurons derived from people with ASD grew faster and developed longer and more-complex branches than the other cells. As the cells grew into 3-D organoids, those derived from people with ASD were bigger. In addition, a genetic program in neural stem cells that includes several genes linked to a higher risk of developing ASD turned on earlier in the cells derived from people with ASD than in the cells from developmentally typical donors. The chromatin during this stage of cellular differentiation was more open in those from the former group, perhaps explaining the differences in gene expression. When the researchers manipulated the cells’ development such that they skipped the neural stem cell stage altogether, the abnormalities disappeared.